Here a completed double-sawn frame is lifted into place on the keel. The frame is assembled flat ahead of the row of frames, then tackles fixed to previously erected frames are used to raise up the new frame. 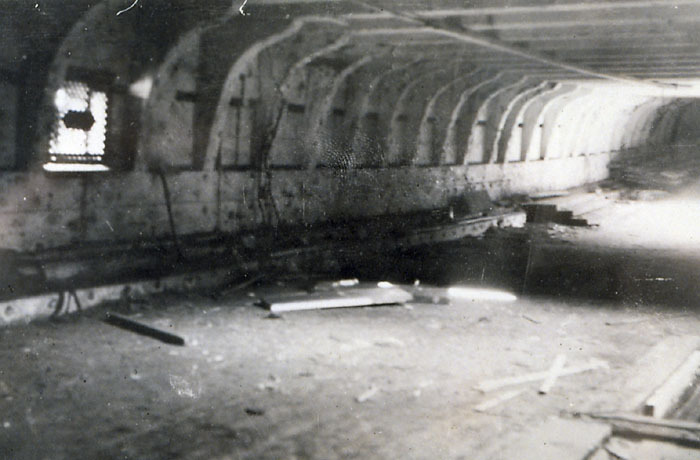 Treenails were used as fasteners for shipbuilding. They were often made of locust wood. They were less expensive than bolts for fastening, and they made tight connections. 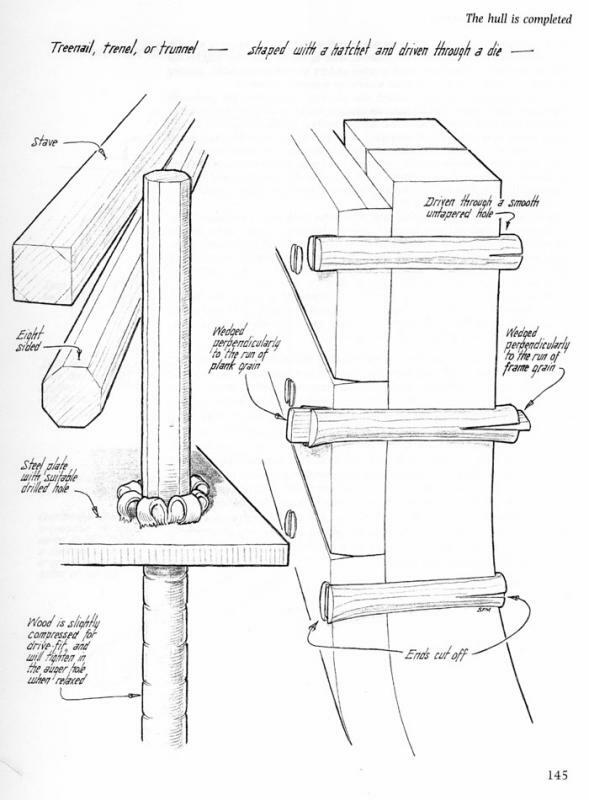 The treenail is like a large dowel, pounded into a hole drilled through the pieces of wood to be fastened together, and set by pounding wedges into both ends, so that the treenail will not come out. Treenails were often called "trunnels." 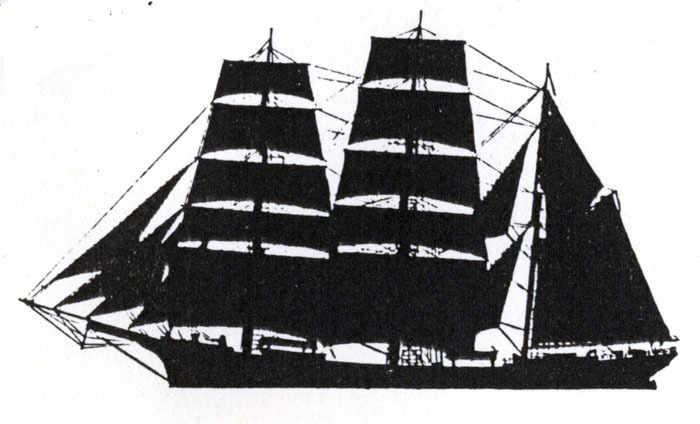 This image is from Basil Greenhill and Sam Manning, The Evolution of the Wooden Ship, 1988, p. 145. Used by permission of the artist, Sam Manning. After the planned vessel's hull is modeled using the carved half model, the lifts are taken apart and measured. 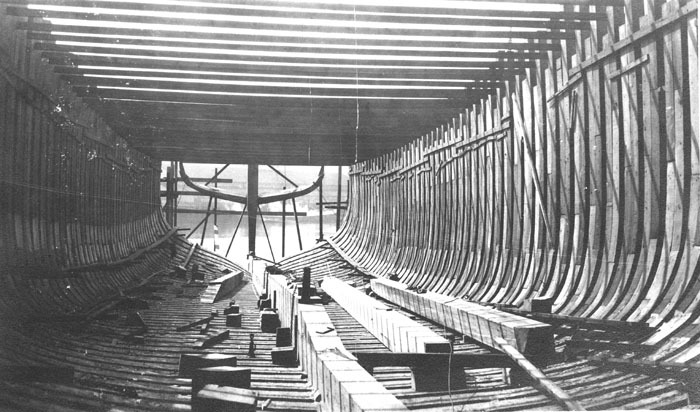 The shape of the hull is laid out full size, a process called lofting, on a large floor. 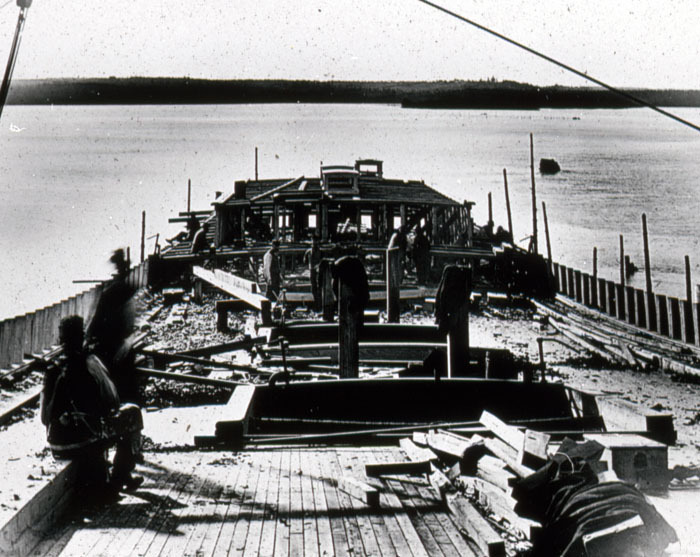 From the lofting of the frames, shipbuilders make molds or patterns, which are used to select and shape frame timbers made of parts called futtocks. 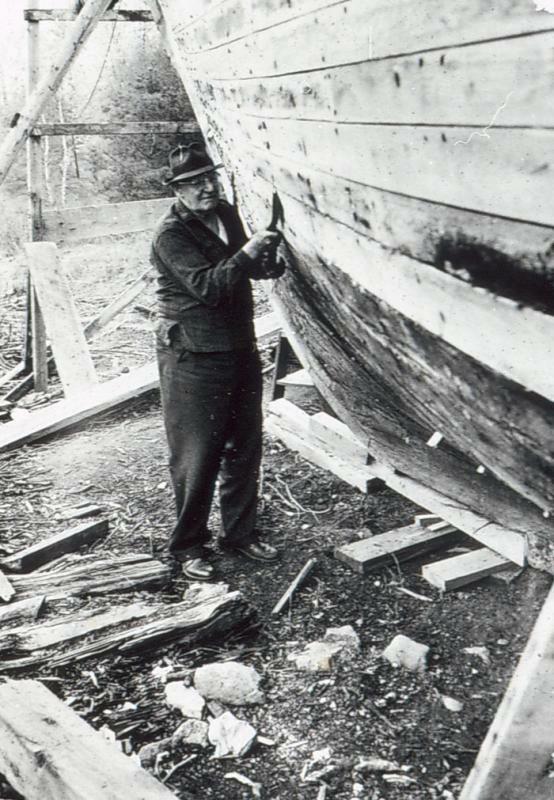 This image is from Basil Greenhill and Sam Manning, The Evolution of the Wooden Ship, 1988, p. 95. Used by permission of the artist, Sam Manning. 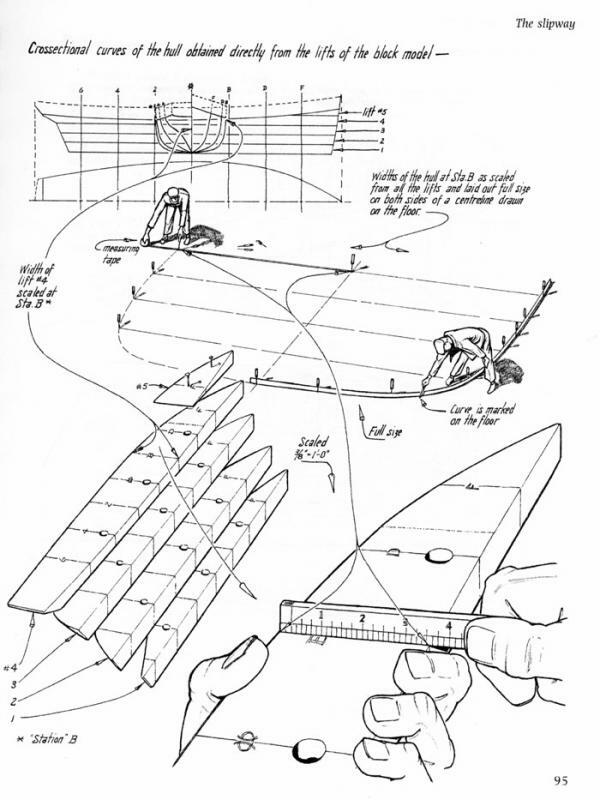 This diagram shows how a half model is used to design a ship. This lift model is made of a number of lifts or layers of wood, pinned together. The model is then carved. After the model has its final shape, the model is taken apart and the lifts measured. Vessels designed this way are usually said to be modeled rather than designed. 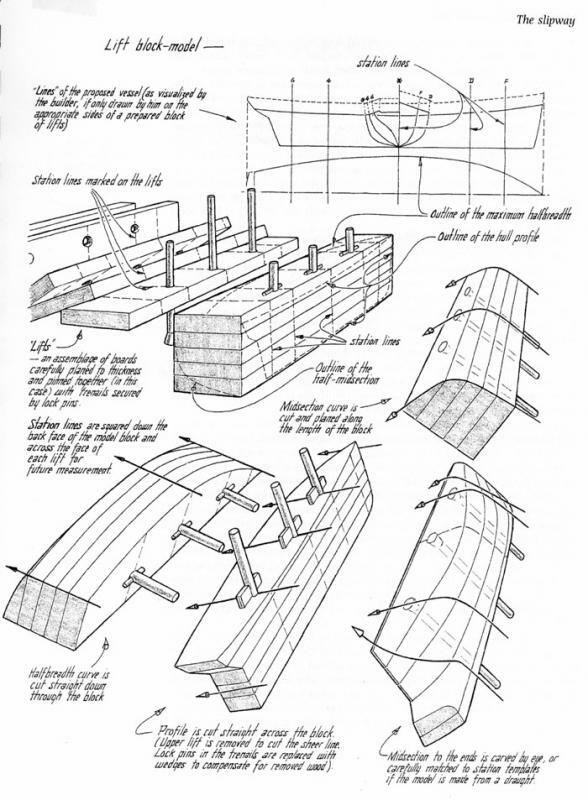 This image is from Basil Greenhill and Sam Manning, The Evolution of the Wooden Ship, 1988, p. 91. Used by permission of the artist, Sam Manning. Using an adze to cut off the head of a driven treenail, making the planking smooth. Dubbing is the adze-users word for trimming small amounts of wood. 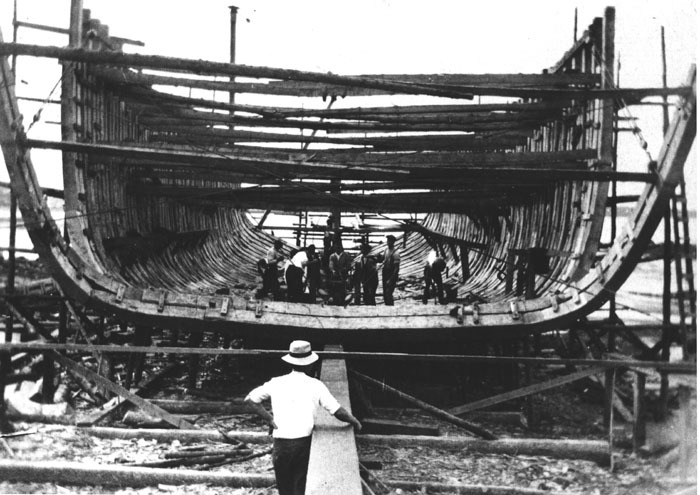 This is a small vessel under repair; some of the planking is being replaced, mostly that above the waterline, in a process called retopping. This is the plank that is subject to drying from the sun, and often is most vulnerable to rot. This photograph shows the large volume of a Down Easter available for cargo. There is another deck below for carrying more. The L-shaped pieces of wood called hanging knees support the deck beams and resist twisting. They are typically made from the hackmatack trees of Maine. The hackmatack (or tamarack or larch) root leaves the trunk at a right angle, creating wood with a grain that bends in an L. Similar L-shaped pieces between the deck beams are called lodging knees. 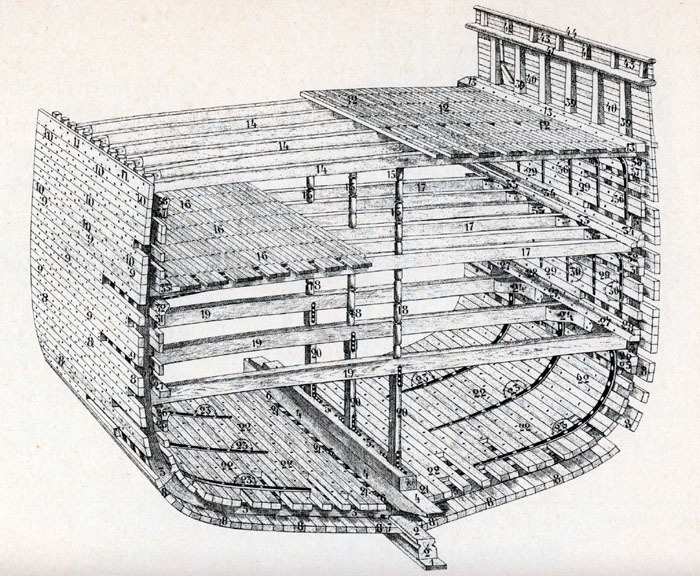 Cross-sectional diagram of a sailing ship, showing keel, frames, planking, ceiling, deck beams, deck planking, stanchions, and bulwarks. From Capt. H. Paasch, Illustrated Marine Encyclopedia, 1890, Plate 7.